Features a nutritious, corn and soybean free recipe that supplements its essential goodness with EquiMix® Organics, a unique combination of advanced supplements formulated to keep your horse at its healthiest. The first premium feed of its kind to provide horses with wholesome, solid nutrition, just as Mother Nature intended. Featuring a healthy recipe that’s made with non-GMO and soybean free ingredients, and includes essential vitamins and nutrients, Triple Crown Naturals is the perfect feed for owners who know real nutrition starts with real ingredients. Get $5.00 off coupon for Naturals Here! 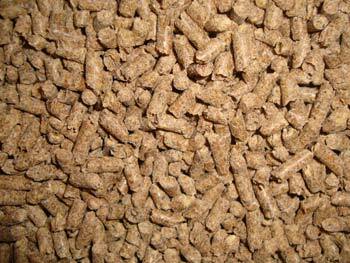 Feed Triple Crown Naturals Horse Feed at a rate that maintains your horse’s desired body condition and energy level. If feeding less than 6 lbs. per day to a mature horse or 3 lbs. per day to a pony also provide supplemental mineral and vitamin fortification. Provide clean fresh water on a continuous basis. Feed good quality hay or provide adequate pasture along with salt. ***The following coefficients of variation (cv) can be associated with the carbohydrate analyses. These should reasonably account for both sampling and analytical variation, though as you know, poor sampling can lead to much larger variation. The coefficients of variation (cv) for starch is 10%, WSC is 15% and ESC is 15%. For example, a feed with a WSC value of 10% should be expected to range from 8.5 – 11.5% and a WSC value of 20% to range from 17 – 23%. In addition, there are variables on ingredients between suppliers that could be as much as an additional 5% to 10% per ingredient. Therefore, products, such as TC 30% Supplement potentially would have a smaller variation than TC Lite due to the number of bulk ingredients making up the feed (2 vs. 4). A trainer recommended I go to a Soy free diet to help my mares reduce their hormonal response when in heat and it has made a phenomenal difference. My mares are not as spooky and more focused during work (when in heat) and more importantly less hormonal when turned out. I love that it is GMO, corn, and soy free. And my horses love it. It looks good and the horses look good on it. And I don't have to feed a lot. I just supplement with a vitamin-mineral mix to make up what there not getting from the feed or hay. This plus Naturals Golden Ground Flax make them look great. Thank you, Triple Crown, for your great line of feeds, and especially listing the ESC + starch values for all your products. Very few other companies will do this for owners of metabolic challenged horses. Your feeds are of excellent quality. Have begged for years! Horses couldn’t be healthier! This is the best feed that I have found so far that is available in my area. I love that there is no added corn or soy! My mare looks amazing on this feed! Thank you Triple Crown Feed!